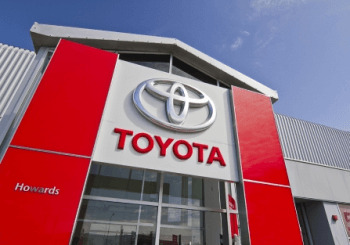 We’re pleased to announce our Toyota dealership based in Weston-super-Mare is receiving a brand new showroom refit. The makeover is currently a work in progress; the project started on Sunday the 13th of November and is set to finish on the 15th of December in time for Christmas. Our new stunning showroom will be in line with Toyota’s next generation range, showcasing new models in an environment that does them justice! The showroom refit is going to be the latest Toyota concept, with an interactive design that's extremely customer orientated and focused. It will allow them to see behind the scenes of each of the models and will feature a new Hub and pod areas which will benefit both customers and employees. Paul Rengert, Sales Manager said "Being able to offer our customers an exciting, fresh, new environment with which they can spend their time during a visit to our centre is so important, with the latest technologies, facilities for young children and areas where customers can relax we hope this latest showroom concept adds even greater value to the overall experience we strive to give all our customers". The big reveal will be in early January, just in time for one of the busiest times of the year. We’ll post more information on our progress closer to the reveal but in the meantime, you can head to our Facebook page for the latest updates.